The Google adsense alliance is undoubtedly one of the best ad networks. In addition to its high advertising unit price, it is also the most credible ad. It also offers a very rich ad unit style, which is better than the domestic Baidu alliance. Ali's mothers are more excellent in these big leagues. Although they are favored by large and medium-sized websites and personal websites, they are still not satisfied with domestic users. Today, I will tell you about the conditions of the Google Adsense Alliance application and some matters needing attention. .
Because there are too many people cheating on Adsense, Google has begun to add a hard condition to the website of China and India to be able to apply for Adsense for more than 6 months. The following are the official application conditions of Google. Do you own a website? To participate in the AdSense program, you must have a website. Read how to create great content and learn how to make your site appeal to more users and advertisers. Note here that you must have a top-level domain name and the content of the website must be original. Are you 18 years of age or older? Our Terms and Conditions clearly state that we only accept applications from applicants over the age of 18. Does your website comply with our program policies? Before submitting your application, please check that your website complies with our program policies. Please note that we may change our policies at any time, and in accordance with our Terms and Conditions, you are responsible for keeping up to date with the policies. Has your website been running for at least 6 months? In some regions, including China and India, we require that your site must have been running for at least 6 months or it will not be considered. Our requirement is to ensure the quality of the ad network and to protect the interests of advertisers and existing publishers. Here mainly talk about the last one is a hard condition solution for at least 6 months: using a foreign server, the article has been tested completely no problem, I am in Google Adsense over-review application tutorial, Google advertising alternative application skills It is mentioned in the article that it is recommended that you use the US server, because the US server has a local speed advantage, which is more conducive to the official review of Google Adsense. Of course, the other side can also solve the six-month hard condition requirement, which is a two-pronged one. Note: Google Adsense has no restrictions on the applicant's website, even if it is only visited by ten people a day. It is best to use the www domain name to apply for the first application. Otherwise, the application may be unsuccessful. The originality of the content of the article, Google is very valued for the original content, if you simply reprint, the application will not succeed. The length of the article is preferably more than 2,000 words. It is scientific and scientific. If you analyze the results of the top 10 websites in Google search, you can get the previous rule. The number of original articles is at least 60%, preferably 80%. Google's algorithm for originality judgment of articles is very advanced. Any new website can be displayed on the first page after publishing its own original articles. If you don't believe, you can try searching for "Google Adsense Alliance application conditions and precautions" to see if my article will appear on the first page of search results. If you are using a CMS system, please ensure that the content of the website is sufficient, not to be blank, otherwise it will be rejected due to insufficient content. (1) Make sure that the information you fill out at the time of application is accurate. Google Adsense requires manual review by staff, and not every application will pass, so please make sure that the information you fill out is accurate. (2) Master the timing of the application. When you apply for a Google Adsense account, one important content is your website URL, which means that your website should have been officially released before the official application. The content of the website is legal and rich. You should have not applied for Google Adsense before the website you applied for. Account; if you have multiple URLs, just fill in one of the higher quality ones and you can place the ad code on other sites after the application is approved. (3) The payee's name is correct. As stated in the first article, this information relates to the PIN you receive from Google Adsense and the payment issue. And once the Google Adsense account is successfully applied, the payee name cannot be changed (Chinese name and Chinese pinyin name cannot be modified). If you borrow someone else's name, the future dollar check payee will be someone else's name. Every time you go to the bank for check collection, you need to use someone else's ID card and bank account. Think about how much trouble you have. (4) The uniqueness of the payee's address. When you apply for Google Adsense for the first time, if your address has already been applied for, the application may be rejected. In this case, you can change the address to re-apply. After the application is approved, the payee address can be modified, but the country of the payee cannot be modified. If you go to another country after applying for the Google Adsense account in China, you can only entrust your local friends to collect the check. (5) Should the account type be personal or business? If you have your own company and have a US dollar account, you can choose a business. However, according to experience, unless a large website, in general, a personal website or a small-to-medium-sized website can choose a personal account, because the personal account check can be conveniently collected by the bank as a demand deposit under the personal account name, and the funds in the business account. The use of procedures is usually cumbersome, especially for corporate dollar accounts. It is often complicated to exchange RMB and withdraw cash. However, I mentioned in another article How to advertise the Google Adsense account type and how to upgrade the escrow account to the website content, the limit on the collection of corporate accounts is easier than the individual, and everyone You can apply for the specific situation. (6) Use a reliable email address and recommend using a Gmail mailbox. Because all the information about your account, whether it is an audit or a late advertising violation, will send a message to this mailbox, so this mailbox must be a very reliable mailbox. (7) Cherish your Google Adsense publisher qualification. As mentioned above, not every website application can be successfully reviewed, so when your Google Adsense account application is approved, it becomes a content publisher for the Google Adsense ad network, with content and web content on your website. Relevant google advertising opportunities, to take full advantage of this opportunity to obtain advertising click revenue through the traffic of your website, and strictly follow the instructions of the Google Adsense program policy, regardless of the circumstances, do not click on the ads on their own website, so as not to avoid adsense account Cancelled (when will your Google Adsense account be cancelled? ), otherwise you will no longer be able to re-apply for a google adsense ad account with your name. 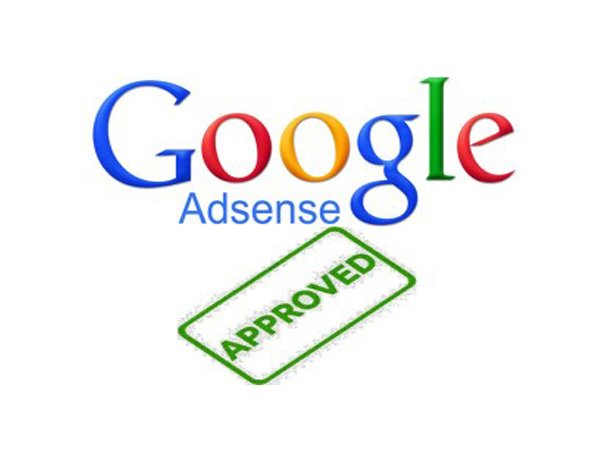 (8) After the Google Adsense account is approved, put the adsense ad code as soon as possible in the appropriate position on the webpage, track and manage the display and clicks of the google advertisement, continuously optimize the Google Adsense advertisement, and obtain continuous and high-quality website content. At the same time as the volume of visits, it also receives increasing advertising click revenue. This way, when your Google Adsense account advertising commission reaches $100 or more, you can wait to receive Google to pay for you. In addition, this site is the Adsense topic.